Episkopi Primary School show how regular history homework has fostered progress and enthusiasm in history. When Quality Mark assessor Sue Temple visited Episkopi Primary School in Cyprus, she was immediately struck by the history work and displays that appeared throughout the school. 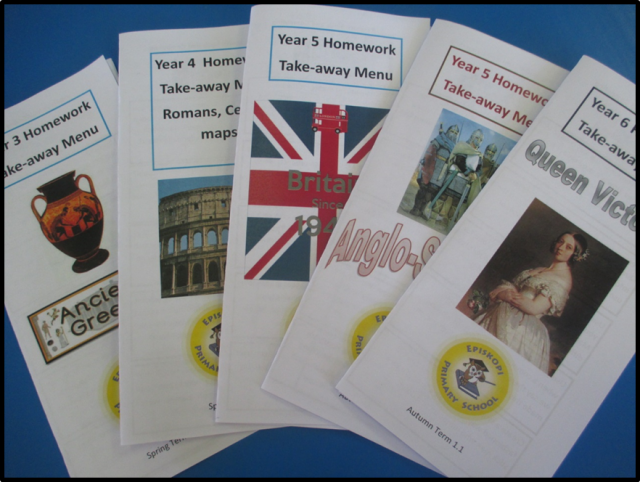 When she asked how this was achieved, subject leader Rebecca Ross introduced her to the schools' history homework take-away menus. In this article, Rebecca explains how regular history homework has not only supported the childrens' progress in history, but it has also meant that the profile of the subject has rocketed at the school and history really has become about family and community learning.